PEMBROKE TOWNSHIP, Ill. (WLS) -- U.S. Marshals arrested a man in Michigan in connection with the 2016 shooting death of another man in Kankakee County. Kankakee County Sheriff Mike Downey announced Monday the arrest of James E. Beals, 55, of rural Pembroke Township. He was taken into custody earlier last week by U.S. Marshals in Benton Harbor, Mich., on an outstanding warrant for October 2016 murder of Ralph Ledet, 46, of Hopkins Park, Ill.
Four men were found shot to death in separate shootings in Kankakee County over the weekend, police said. Deputies responding to a report of shots fired found Ledet's body lying near a driveway in the 6600-block of South 17250 East Road around 1 a.m. on Oct. 1, Downey said. Kankakee Coroner Bob Gessner said Ledet had been shot in the head several times. His death was ruled a homicide. Beals is awaiting extradition to Kankakee, where he will be arraigned, Downey said. The sheriff thanked the community for working with investigators to help solve the case. A father and his two sons were found dead just before 1 p.m. on Oct. 2, inside a home in the 4300-block of South 15500 East Road in Pembroke Township, about two miles from where Ledet was found. The three men had also been shot several times in the head. "Upon arrival deputies discovered 56-year-old Reginald Neal, 24-year-old Dangelo Neal and 21-year-old Davante Hopkins all deceased from apparent multiple gunshot wounds," Downey said last year. They were discovered after police were alerted by a relative. Police said they believe the homicides were connected and that it appears the victims were targeted. It was the first multiple homicide the Kankakee Sheriff's Department has investigated in 20 years. Police said all four men lived together. They all had criminal backgrounds, which most recently included drug and dogfighting offenses. 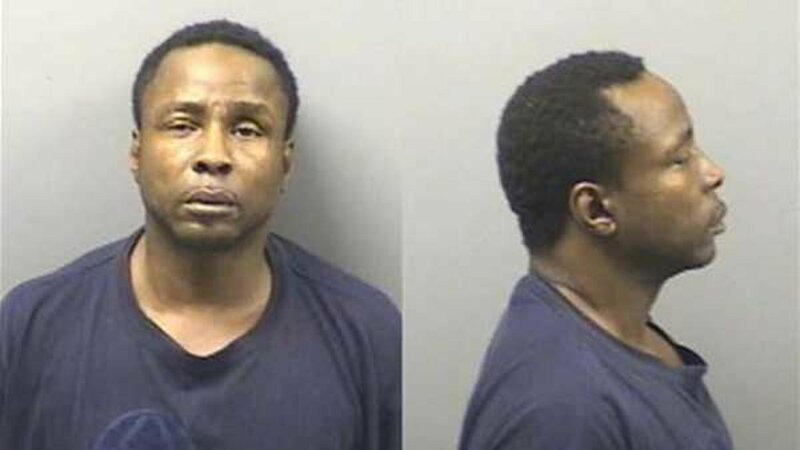 Ledet had a first-degree murder charge dating back to 1989 in south suburban Harvey. But during their time in Pembroke Township, police said the only calls they had received to the home involved domestic incidents. Police said several dogs were recovered from the house, but none appeared to have been abused. No drugs were found on the property.